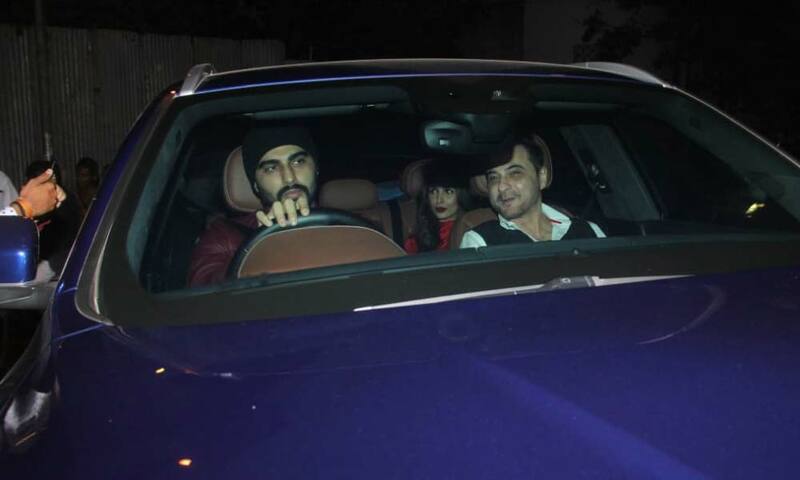 With Christmas just around the corner, Film producer Ritesh Sidhwani threw a pre-Christmas bash last night and the who’s who of Bollywood arrived in style and partied their night away. Christmas is almost here and B-town decided to start their celebrations early. A lot of the A-listers at the pre-Christmas party included Ayan Mukherji, Twinkle Khanna, Student Of The Year 2 actress Ananya Panday and Anil Kapoor, Karan Johar, Farhan Akhtar, Shibani Dandekar, Malaika Arora, Arjun Kapoor and several other stars were spotted on Saturday evening at Ritesh Sidhwani’s residence. 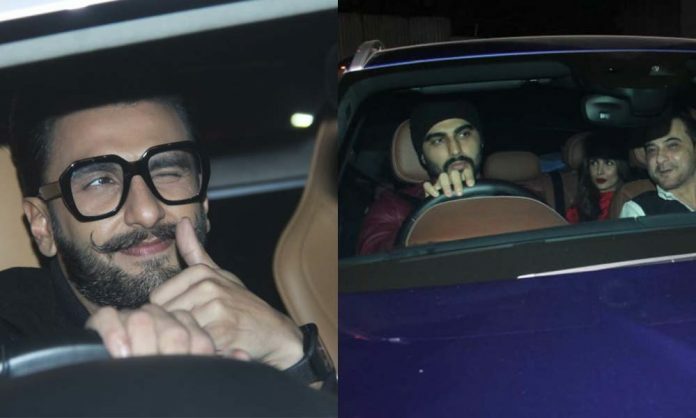 Ranveer Singh was also spotted at the party. Gold actor Mouni was spotted at the party in a strapless yellow dress with a thigh-high slit. Ekta Kapoor, Neha Dhupia and Angad Bedi also made for a stylish couple while Amrita Arora was snapped with Shakeel Ladak. Anaita Shroff Adjania. Ritesh Sidhwani’s known for commercial Hindi drama films, such as ‘Rock On!! 2’, ‘Raees’, ‘Fukrey’ series, ‘Gold’ and many more, is now backing up ‘KGF’ which is a Kannada film. Sidhwani says cinema has overcome the language barrier. This year has been a great year for Ritesh Sidhwani as movies like GOLD got great success and also the most successful series Mirzapur and recently KGF is also having a great response. Ritesh Sidhwani’s upcoming movie is Gully Boy. Excel Entertainment production Gully Boy is a story about an Indian home ground Hip Hop artist. Zoya’s next directorial venture Gully Boy will probably be quirky. 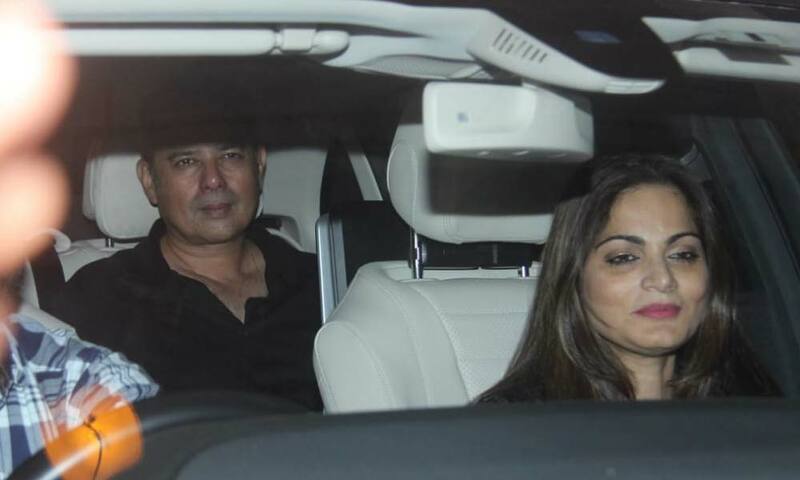 Next articleSonam Kapoor – Anil Kapoor’s ELKDTAL Based On A Daughter Accepting Father’s Love Affair?